Wow! Those look fabulous. I love sweet potatoes and that’s a great filling. Thank you! Thank you and I hope you enjoy them as much as we did! That looks absolutely delicious, and as usual your pictures are superb. Wow! These look delicious, and the stuffing is quite healthy. One might substitute non-dairy cheeses and this would be a super health food! Just my kind of food for a chilly day – vegetarian too! These look delicious! Am definitely going to try these. Thanks for the idea. Please do! And thanks for dropping by! Looks like a really yum recipe! I like it . Thank you for sharing . Baked sweet potatoes are versatile and, as you point out, very warming in cold weather. Your calligraphy adds a nice touch to the visuals. This recipe looks fabulous! I will be trying it today. Thank you! And great that you’re going to give it a go!!! The dish was delicious, but I need to try a wet feta next time. It didn’t melt like I thought it would. Great that you gave it a go! These look amazing! Thanks so much for this inspo! I love sweet potato and this looks yum. Saving this to try later! What an appetizing photo. And I love sweet potatoes. I will definitely try it. These look delicious! Will definitely have to try! Reblogged this on More Or Less Lucid. Definitely want to try this one! Beautiful pictures by the wat. Great, I hope you enjoy it! And thanks! That looks really delicious and I would like to give it a try. Thank you for visiting my blogs hope we can exchange recipes. I will be publishing in the next couple of days. Thanks for sharing this recipe! I love veggies. These look amazing! Anything with sweet potatoes is worth a try! Wow nice recipe.sure will give it a try.my kids will love it. Looks lovely, and I will try. 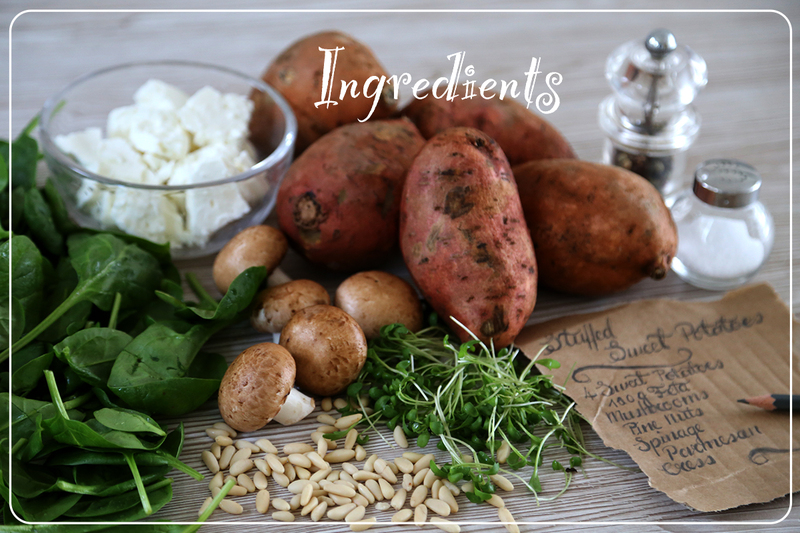 I grow sweet potatoes as an understory cover crop, so I get many and love new ways to serve. Thanks! Sorry for offtopic but wow, such a nice blog! Even the design, following! Reblogged this on We Love Food. The photos are beautiful. This is a wonderful way to have sweet potatoes. Lovely recipe!!! Incredibly looking dish. What an easy and delicious recipe. Yummy! These stuffed potatoes looking absolutely delicious. Unfortunately, I don’t eat anymore dairy, since I became a vegan, but they really look tempting. Your photos are amazing! Thanks you, maybe you’ll be able to create a vegan version of this dish?